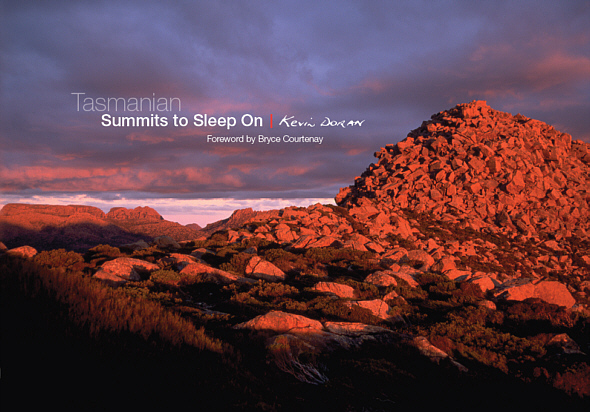 In its foreword, Bookend Trust patron and famous Australian author Bryce Courtenay gives Tasmania the “world’s best” accolade for scenic beauty, while Kevin’s pictures and text provide the supporting evidence. 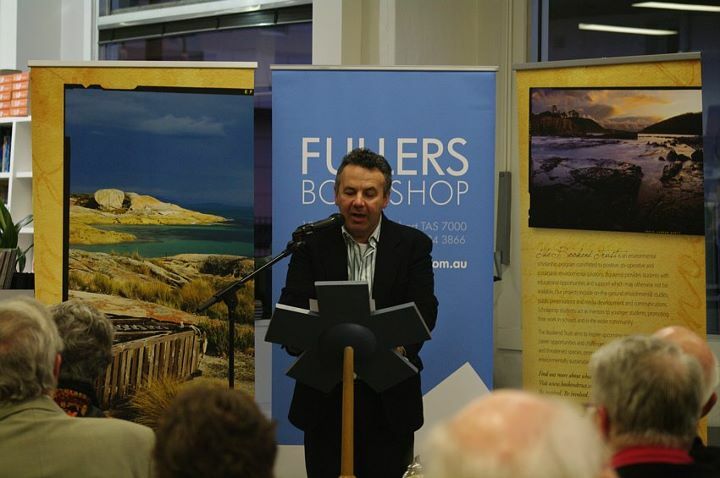 Launched by ABC Radio personality Michael Veitch in September 2011, the book is fully printed and produced in Tasmania. 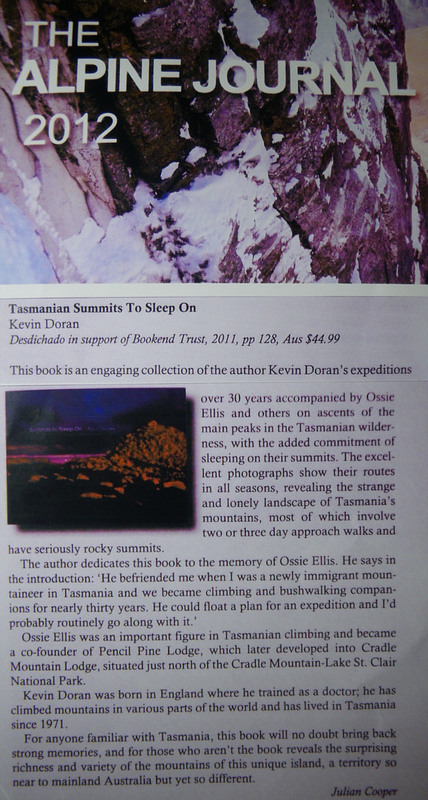 All sales are to support environmental education charity the Bookend Trust. 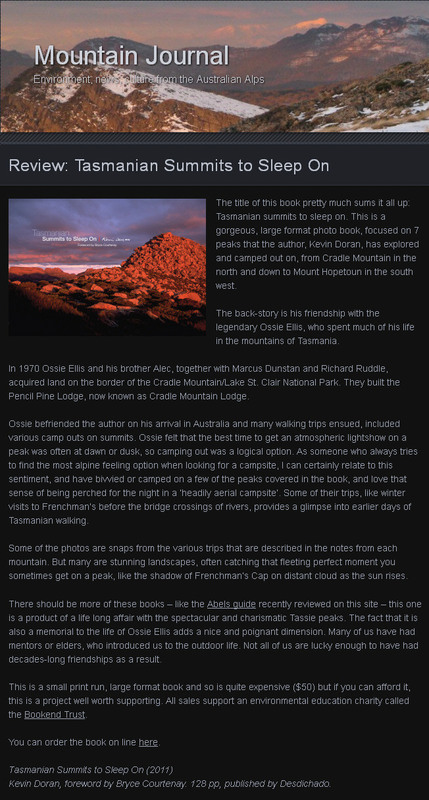 "For anyone familiar with Tasmania, this book will no doubt bring back strong memories, and for those who aren't the book reveals the surprising richness and variety of the mountains of this unique island, a territory so near to mainland Australia but yet so different." 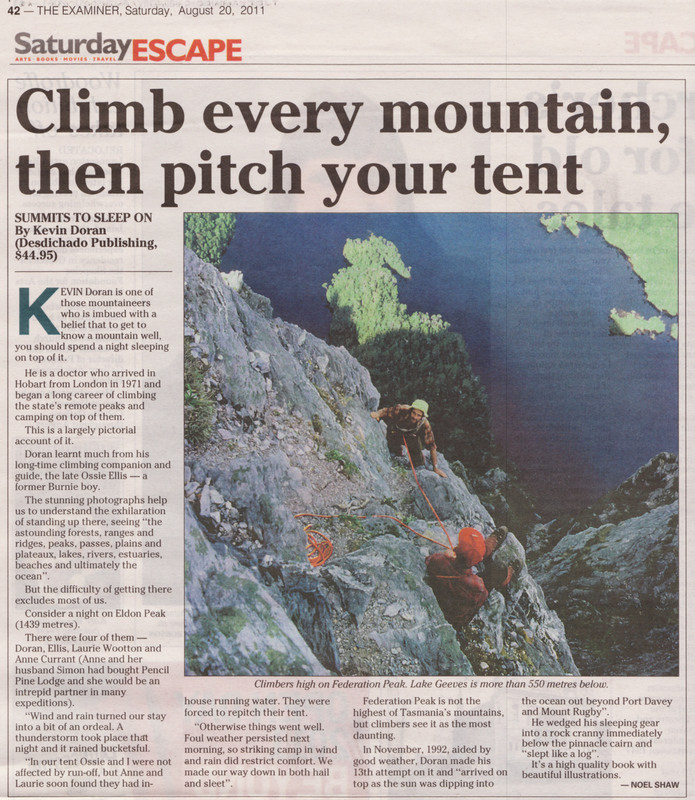 "Showcases some of Tasmania's most spectacular peaks with beautiful imagery... this book is a must for Christmas and provides plenty of inspiration." "A gorgeous, large format photo book... stunning landscapes, catching that fleeting perfect moment. 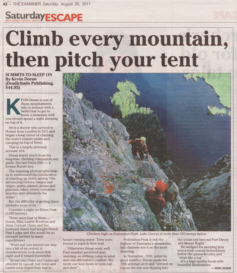 There should be more of these books – this one is a product of a life long affair with the spectacular and charismatic Tassie peaks." 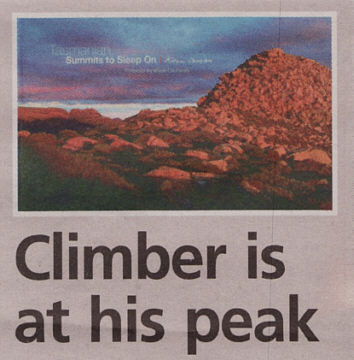 "Arresting... truly beautiful photographs... epic walking trips [and] a dry sense of humour." 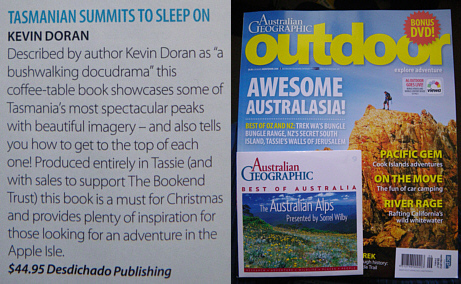 "A high quality book with beautiful illustrations."